Once in awhile, a situation goes down 180 degrees differently from how I think it will. Something goes horribly awry, despite my best intentions and the clearest foresight available to me. It has happened in the last two weeks. In the first instance, I publicized a cause that was important to a group of people by way of an event. I am a guest on the group’s forum and I know to tread lightly because of the dynamics between the group and a position I hold. I posted said event about said issue on this group’s space. Turns out the group (the vocal ones, anyway) did not like the person who sponsored the event nor the timing of the event — issues I did not foresee and issues which unleashed 5 pages of seething vitriol aimed squarely at me. At the time of the unleashing I was on a road trip, touring Civil War battlefields with my family and my newly-bereaved father-in-law and sister-in-law. Which meant that on my smart phone I was able to read but not to respond to the spinning-out-thread. And, with two car-weary kids in the back of a rented van, also meant an abundance of battle energy all around me. I thought and thought and meditated about how to best handle this unexpected turn on the thread. Walk away and never come back? I would lose a forum that I value; plus that would mean all the allegations about me would go unanswered. Defend myself? That would likely not resolve anything, but rather fan the flames. Gather my meager forces to back me? It seemed wrong to bring others into the fray. On the day between Gettysburg and Antietam, it hit me. I remembered the title of this post. And the way became clear. Everyone wants to be heard. Being understood is one of the best gifts we can give or receive. So I composed a brief reply addressing what I heard group members saying. I tried to be an objective mirror, reflecting back to them the points they were making, without vitriol and without defense. I admitted nothing, I apologized for nothing, I simply reported what I heard their concerns to be. That proved to be the key. Many forum members were gracious, reaching out to me publicly or privately. I was thanked for the understanding and I was redeemed. 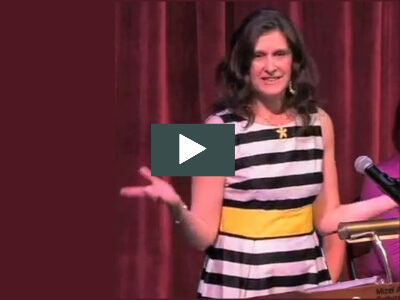 The second derailment began with my recent post about questions from a closed-era adoptee. I “met” JoAnne online somewhere along the way. She would clue me in whenever she made progress on finding out more about her adoption and her origins. Hers is a story that has villains (judges, attorneys, doctors — at best unethical and at worst, criminal) as well as angels (librarians, historians, genealogists — common people with common decency in helping her find her roots), with twists and turns worthy of a John Irving novel. She’s in her 50s, adopted at birth and readopted later on, her truth hidden from her by so many players in her saga. She is also one of the kindest, gentlest people I can imagine. Think Beth of Little Women, Celie of The Color Purple, Truvy of Steel Magnolias. Graceful and gracious to the core. In spite of the numerous wrongs done to her, JoAnne has maintained her ability to see the good in people, proof that what you see and assume about others is what you see and assume in yourself. JoAnne was raised in the 1950s and 60s when adoption was something all parties pretended didn’t happen. Her petri dish, if you will (we are all surrounded by culture and grow in it accordingly, just like strep germs do in agar), was full of spoken and unspoken beliefs and assumptions. She read my stories about the way I’m raising my children, and she wanted to further explore those assumptions she’d been exposed to and had absorbed, almost by osmosis. 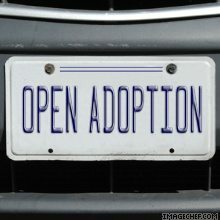 Now I know that many in the open adoption community are committed to educating about openness in adoption. So I had the bright idea to not only answer her questions but also invite others to. When I gave a heads up to Heather, the founder of the Open Adoption Roundtable, that I was doing so, she offered to make the questions part of the OART. Similarly, the Open Adoption Roundtable once tackled O Solo Mama’s “Ignorant” Questions about Open Adoption (her blog is no longer available so I cannot direct you there). 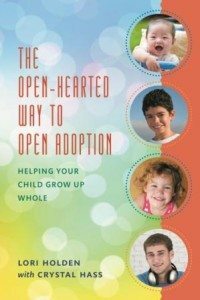 This mom via international adoption sought to better understand the strange-to-her thing that is open adoption, and OA bloggers were eager to help her understand, abiding by the old adage that there are no stupid questions. This was my expectation with JoAnne’s wonderings, as well. She, too, was trying to wrap her mind around a road she didn’t get a chance to walk. She, too, had an innocent curiosity about a concept that was foreign to her. I did not foresee that some would take offense at the questions JoAnne posed. I did not foresee that JoAnne would thus be hurt and shamed. But our intentions were good. Neither JoAnne nor I set out to insult or inflame, but rather to illuminate. Does that matter? 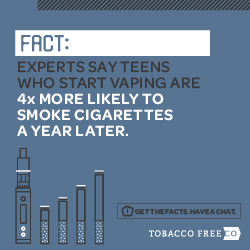 Should it matter? As I hover over the Publish button, I acknowledge that this post, also, may be taken as either an explanation — or 180 degrees opposite my intention. I do hope it turns out to be the former.